Do you prevent yourself from indulging in greasy foods like pizza, burgers, and chips just because you think they will cause pimples? You aren’t alone. It is a common belief that oily food causes acne. But, is it really the truth? Let’s find out. Oily food has got a really bad rep. 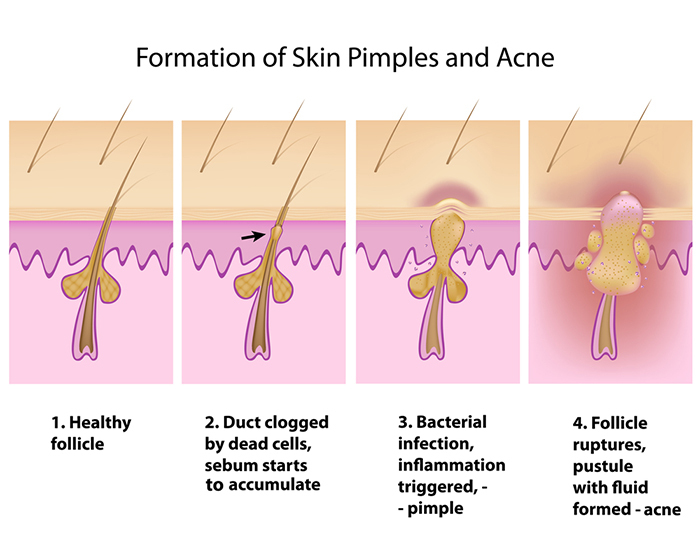 It is considered as the biggest reason behind acne, even though dermatologists have denied of any connection between oily food and pimples. In fact, many people believe that chocolates and dairy products also increase the frequency of breakouts. So, the bigger question is – Can our diet really influence our looks? For the past few years there was no link found between food and acne, but research has been shown that a diet that is high in sugar and simple carbohydrates (high glycaemic index) tends to increase the frequency of acne. Although scientists believe that more research is needed to validate these results, the message is clear - high glycaemic index diets may trigger hormonal responses that leads to breakouts. Our skin has a lot of sebaceous glands located deep inside the hair follicles. These glands produce sebum – a natural substance that moisturises and protects the skin. Sebum is also responsible for the greasiness on our face. The faster the sebum production takes place, the oilier the skin becomes. When excessive sebum builds up in the skin pores, it attracts bacterial growth. As soon as bacteria starts thriving in the pores, our body's immune system responds by inflaming the area and turning it red. There are many factors that can lead to the excessive production of sebum. Genetics, hormones, stress and environmental factors are some of these factors. And now according to the latest research consumption of food with high glycaemic index can also activate sebum production. Do oily foods have high glycaemic index? 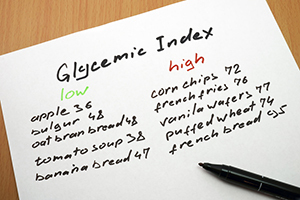 The glycaemic index (GI) of a food is determined by the total rise in blood sugar levels after its consumption. Any food that contains some sort of carbohydrates or any source of sugar has a glycaemic index. Most healthy carbs like beans, vegetables, fruits and grains have a low GI. But processed foods like breakfast cereals, chocolates, breads and potato chips have high a glycaemic index, which is 70 or greater. Research has found that a high GI diet raises blood sugar levels quickly and causes insulin levels to rise, which in turn changes the metabolism. High insulin levels over time can increase levels of free androgens (male hormones) in both males and females. Increased levels of male hormones are known to activate sebaceous glands to produce more oil, which triggers acne. The bottom line is – if you have acne-prone skin then eating oily and junk food may make you more susceptible to breakouts. So, how can you avoid acne? Although more research needs to be done to find out the exact link between oily food and acne, you might want to avoid certain foods that might trigger your acne. A few simple dietary changes can make you less prone to breakouts, while improving your overall health. If you have acne, you might want to avoid processed foods like chips and cookies; starches like white bread and potatoes and sugary drinks like soda. Include foods with low-GI like wholemeal pasta, brown rice, fruits and vegetables in your meals to reduce the frequency of breakouts.